I’m now 43 years old, or as my brother likes to say, in the “extreme 30s”. Over the last five or six years I’ve experienced a couple of serious health scares along with a growing list of minor irritations that, taken together, have aroused my attention. Though I’ve never paid much attention to my own health, not long ago I began doing some research and concluded that I needed to make some serious dietary changes. The first blow was almost eliminating coffee. I had been a coffee lover from the age of 12, but coffee was causing stomach pains and acid reflux problems to the point of near-debilitation. I couldn’t figure out why I just couldn’t keep my lunches down. I noticed, too, that certain other foods had the same effect – chocolate, beer, white wine, margaritas, even our own home-grown nectarines! So I no longer enjoy my coffee every morning, beer on hot summer afternoons, or nectarines (beyond just one a day) at harvest time. I sometimes use a coffee substitute, but I am settling on tea, and sometimes just half-a-cup of coffee, to start my day. I can still drink red wine, but even some of those are troublesome. I have discovered a local organic brand that is very pleasing (LaRocca – give it a try) and will probably stick with that. Although my reflux problems were solved by eliminating certain foods, my stomach pains were not conquered until I began to limit my consumption of bread. Bread? Yes, bread. I have always been prone to overeating when it comes to bread. It was a common-sense self-diagnosis, but it took me a while. By the time I figured this out, it was beginning to feel like I was on the fast track to being nourished by feeding tube! Spiritually, I am no stranger to gluttony, so all of this is undoubtedly a mercy. Cutting out the coffee almost eliminated my frequent heart palpitations, but not entirely. It wasn’t until I drastically reduced my sugar intake that the palpitations went away. This presentation helped convince me to quit soda pop for good, and to eliminate most high-sugar foods at least Monday through Friday. No more sodas and juices with my lunch, no more sweet snacks and desserts, and fewer processed foods loaded with high fructose corn syrup. The happy result? In addition to eliminating those irritating palpitations, the change has also increased my energy levels (and improved my mood) throughout the day. 1. Keep your sugar intake at a minimum. Be aware that sugar in the form of fructose – usually high fructose corn syrup – permeates many processed foods not regarded as “sweet”. So check all labels. And quit sodas and juices with HFCS altogether. 2. Take a Vitamin D3 supplement appropriate for your age and weight. Anyone over 100 lbs should take at least 1000 IUs daily. Most adults should take between 1000 IUs and 5000 IUs daily. I take 2000 IUs daily, as do my two oldest children. The 10 y/o takes 1000 IUs, and the 6 y/o takes only a chewable multivitamin with 400 IUs. 3. Take an Omega 3 supplement. Most people are deficient in Omega 3 as well. The benefits are well documented, and it helps your body process the Vitamin D.
4. If you aren’t eating a carefully balanced diet, consider taking a good multivitamin daily. Both the Omega 3 and multivitamin supplements will also contain Vitamin D, probably around 800-1000 IUs combined. If you’re taking less than 10,000 IUs in your daily Vitamin D supplement, just consider it a bonus. Your body should naturally produce between 10,000 and 20,000 IUs of Vitamin D3 with just 30 minutes of full sunlight exposure, during the non-winter months. If you aren’t doing at least that much – and most people aren’t – your supplement isn’t likely to match what would otherwise be supplied by nature. When I was about 9 years old, I used to study a topographical map of California hanging on the wall of my grandfather’s den – one of those plastic maps with bumps and valleys. On that map I noticed a little town named “Mulberry” between Chico and Durham, supposedly located on a route we traveled frequently. I asked my mother and grandmother, on separate occasions, to take me there. We looked for it, but there were no signs of a town or anything else with the “Mulberry” name in that locale. For some reason this puzzled me greatly. My mother encouraged me to write a letter to the editor of the local newspaper asking if any readers knew about the place. What followed was astounding. The newspaper published my short letter, not realizing at the time that I was just 9 years old. Scores of long-time area residents responded with memories, anecdotes and photographs of the forgotten old Mulberry railroad station and the community that grew up around it. The newspaper devoted several full pages to these letters and pictures over the next few weeks. After this amazing outpouring of historical memory, my mother wrote a letter to the newspaper thanking them, and all those who contributed to the series, revealing that the original letter writer was her young son. Shortly thereafter the newspaper published a sentimental editorial lauding the power of childhood curiosity and supportive parents. Thus began my lifelong fascination with small towns and their hidden stories. Like so many small towns – especially here in the West – Mulberry thrived for a short time and then faded away. Why? I began to pour over maps and found other places like this. Granny was often available to help me chase after these places. 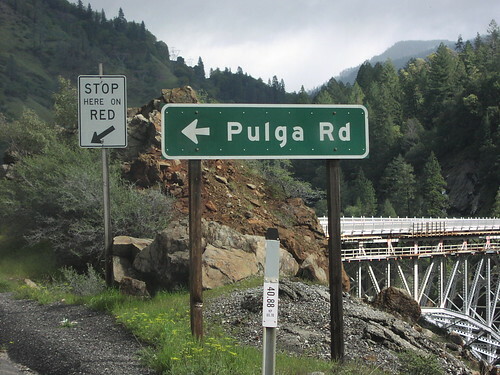 On one of these maps I located Pulga, a little town on the Feather River, and Granny took me there. The road to Pulga was a narrow, winding, unpaved mountain road that eventually descended into the canyon and stopped at cluster of run down buildings and shacks. 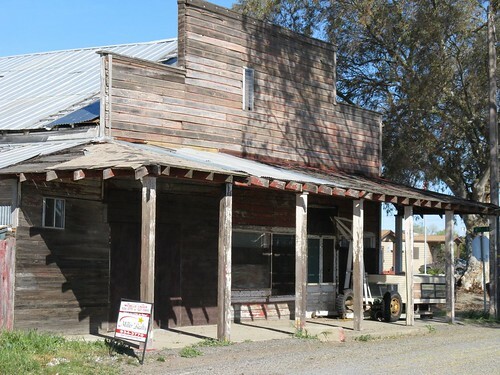 There was a “store” that also served as a post office and everything else, but it was closed. I suspect it was also someone’s home. A few dwellings could be seen in the surrounding hills, but they looked scary to me. If it weren’t for the clotheslines, you wouldn’t think they were inhabited. Not a single person was in sight. I wondered who lived here now … and who lived here 80 years ago? What did they do? How did they live? What was it about a railway station on the river that attracted settlers in the first place? Are the folks here now related to the original families? Why did this place feel so … strange? Like we were being watched? Once, I asked Granny to take me to a town called Dingville. “Downtown” Dingville consisted of one small store and an unappealing coffee shop. We stopped in for lunch – the only customers, probably the only customers they had all week. I’ll never forget the waiter, an unshaven man in a dirty white t-shirt who so shamelessly flirted with Granny (she was widowed by then) that she was visibly shaken. But we laughed about it all the way home. Not too far from here is the little town of Nelson, with a population of less than 100. It has one store and the residents look none too friendly. What is strange about this tiny little place is that it has a huge, beautiful park! How did that happen? Come to find out, Nelson was once a thriving settlement of 2,500 souls. On the north side of town was the vice district: saloons, brothels, gambling dens. As the story goes, the town was almost completely destroyed by fire. It is believed that Nelson’s battalion of “church ladies” deliberately set fire to the saloons. The fire unexpectedly spread to the rest of the town and destroyed the place. Nelson never recovered. Places matter. What happens in a place tends to stay with it, somehow, entering the ground and the walls and the air – whether good or evil. The protagonists in a great spiritual war fight over territory. A priest once celebrated Mass for us in our living room. Before leaving he told us: “The angels never leave a place where holy Mass has been said”. When a priest blesses a home or building, if he is thorough, he will even sprinkle holy water in the closets and hidden nooks and crannies. 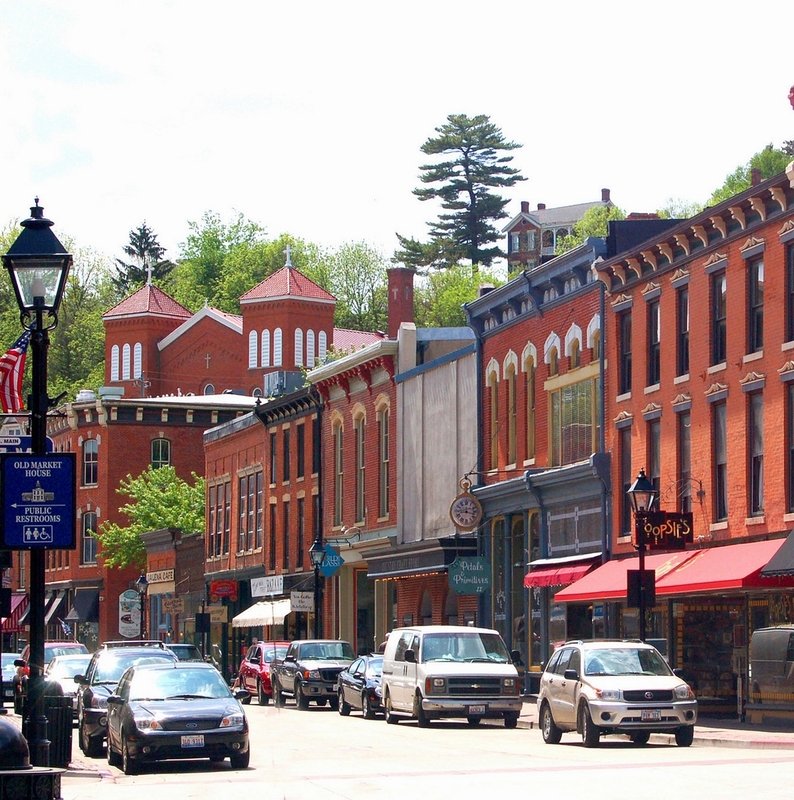 Small towns are interesting because people are interesting, and in a small town the people matter. I don’t romanticize them. Most small towns are not Mayberry. Some of these towns are crawling with ghosts, some are haunted by an evil past, some are plagued with old grudges and feuds, and some are refuges for scoundrels of all kinds. Others are healthy and happy places, God-fearing places, wholesome and friendly places, and it’s fun to try and find these little gems. But most are a mixture of things, and that mix is unique in every town. Take Graysville, Tennessee, home to a settlement of Melungeons, an Appalachian people thought to be of mixed European, Indian and African ancestry. Their story is utterly fascinating, and whatever you might say about them, there is no place like Graysville anywhere else on this earth. I could read about such places for days on end. To this very day, I continue to chase small towns. Yesterday I took the kids on a little excursion to the ridge community of Cohasset, one of many remote California mountain settlements that could easily be mistaken for a hamlet in Appalachia. Like the “hollers” back east, there is only one road in and out of the place. The history of the ridge is volatile and tragic and triumphant – its best and worst days seemingly in the past. Today Cohasset has a somewhat negative reputation in the valley, mainly due to an unsavory element that makes the news from time to time, but also because it is visibly quite poor. Recently, I asked a fellow who lives in Cohasset about his neighbors. Who lives up there? He said the ridge is a haven for the “far left” and the “far right” and not much in between. Perhaps so, but it’s a beautiful ridge with an established community that is proud of its heritage.